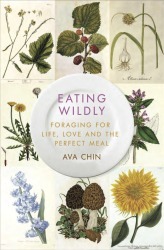 Eating Wildly reveals how foraging and the DIY-food movement taught Chin important lessons in self-reliance. After a break-up and the loss of a beloved family member, she immerses herself in urban nature—discovering the city’s best mushrooms, mulberries, and even a swarm of wild honeybees slated for extermination on Staten Island, meeting fellow foragers and mycologists along the way. As the seasons turn, she starts to see the world as a place of abundance and beauty, where everything is interconnected and interdependent—and timing is key. Ava Chin has appeared on WNYC’s “All Things Considered” discussing lamb’s quarters, ginkgoes and wineberries, and has been featured in ELLE, Martha Stewart, and the Village Voice. She lives in Manhattan with her husband and daughter. My family recently built this site instead of putting solar panels on our house. SeedLiving has been developed during a time of rising crop prices, Monsanto buying more and more seed companies, and a flourish of small organic farms getting a lot of attention and doing great work. SeedLiving is a brand new international online venue for buying, selling and swapping open pollinated seeds and live plants. 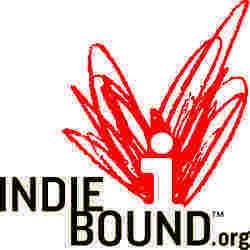 Users may choose to sell or swap within their own regions. The fees for using the site are pay-what-you-can. If users would like to give your seeds away for free but have the postage paid, they may put them on SeedLiving’s Trading Table. We are also looking for bloggers to post gardening news & tips for their growing area. At some point in the future, we hope that everyone with access to the internet will be able to make a living or supplement their income from open pollinated, untreated seeds and live plants, while, at the same time, promoting and enhancing biodiversity on our planet. Ava, I have a question: I collected 2 large zip-lock bags of freshly fallen acorns (from both red & white oak) last fall up in Harriman State Park, only to be very disappointed to find out that over 80% of them contained worms / grubs. Do you have any tips on harvesting acorns that would help avoid this issue? PS: I’m a huge fan of your column. Thanks, EW. It’s always disappointing to find worm-infested acorns when you’re collecting for food. b) have a nice weight to it. If it’s too light there’s a good chance it’s been eaten. In fact, I can usually tell a good acorn as soon as I have it in hand because of the weight. It makes collecting a lot easier. Good luck this season, and thanks for the nice words of support! best of regards and hoping you can make it! I was reading your post about making maple syrup here in NYC. I have a maple in my yard, but there isn’t a big time span when it’s 40 during the day and 20 at night. Do you normally tap the trees here in march as is done upstate? Or should it be done earlier? As you know, the weather’s pretty variable in NYC, but in general, I’ve tapped trees as early as January and as late as March. It all depends upon what kind of temps we’re having. Sorry I can’t be more specific, but that’s nature for you. Best thing to do this time of year is to start getting your equipment ready. Which borough are you in? Feel free to post again if you have any more questions.